Last November, a somewhat vague comment by Stan Lee hinted that a Black Widow solo film might be in the offing. Then in January, reports started coming out that confirmed this, with Jac Schaeffer attached as screenwriter and a tentative release date — well, year — of 2020. Presumably, Scarlett Johannson will star. She is a big reason for the character’s popularity in the Avengers and related movies, after all. But, it got me thinking it was time for me to fan-cast our favorite Russian femme fatale. I mean, if Johannson wasn’t necessarily attached to the film — maybe they were looking to reboot the character after Avengers 4 –, who would I give the tight black costume and “Widow’s bite” bracelets to? The “origins” of Natalia Alianovna Romanova (aka Natasha ‘Tasha’ Romanoff) are a bit confusing, as there have been conflicting tales. What we know for sure is that she is decades older than she looks, she has enhanced human strength/stamina/reflexes and other abilities (perhaps due to a variation of the Super-Soldier Serum), she was married to a distinguished Soviet test pilot (Alexi Shostakov, who became Red Guardian), and she eventually went to work for the U.S.S.R.’s KJB during the Cold War. With her gifted intellect and athletic regimen, Romanova mastered multiple forms of martial arts and many blades and firearms, became fluent in several languages, and she is exceptionally skilled in information-gathering and other spy-related talents. In addition to traditional weapons, she has been known to employ an electric “Widow’s bite” via special wrist-devices, which hurt like heck and can stun even a very large opponent. In short, she is a top-level spy and one of the deadliest assassins in the world, making her nom de guerre, “Black Widow”, quite appropriate. Romanova clashed with both Iron Man and Hawkeye early in their careers, even pitting them against one another, which helped to label Hawkeye a criminal. Shortly afterward, she was seriously injured when trying to defect, and she convinced her then-paramour Hawkeye to turn to the Avengers. Black Widow has had a long, mostly friendly, association with the Avengers ever since, having led at least one team. She has worked with S.H.I.E.L.D. a lot, too. She had a long relationship/partnership with Daredevil and has been romantically linked with Bucky Barnes (aka Winter Soldier). She even co-founded the Champions of Los Angeles, though the team disbanded not long after. Despite these associations with many superheroes and the U.S. intelligence community, Black Widow has spent a lot of time as a solo operator, as well. She even retired for awhile, but that didn’t last. Scarlett Johansson (5’3″,b.1984) has done a decent job with the role, but she never quite felt right to me. She didn’t have quite the right look, she’s too short, and I always thought Natasha should retain at least a mild Russian accent. (I know, a good spy would probably learn to speak English without the accent. Still,…) The Marvel wiki lists Black Widow as 5’7″, so I think a range of 5’5″ to 5’9″ is fair. I’d like to cast a natural redhead and/or someone from Russia, but hair-coloring and a good voice coach could make sure those bases are covered, I suppose. She should, of course, be very attractive, able to perform “action moves”, and probably ranging from mid-20s to early-30s (though I might have to settle for mid-30s). I considered several actresses for the role, mostly from Russia or Eastern Europe: 1) Slovak-born actress/opera singer Apollonia Vanova (b.1966), known for various genre roles, including ‘Silhouette’ in Watchmen and the leading Wraith Queen in “Stargate: Atlantis”; but, she’s too old. 2) Ana Alexander (5’10”,b.1976), a Serbian-born model/actress, has appeared in Glass Trap, a couple CSI series, “Bones”, et al. Great look, but still too old and too tall. 3) Ukrainian-born actress/model Olga Kurlenko (5’8.5″,b.1979), known for roles in Hitman, Quantum of Solace, Oblivion, Momentum. She’s a little too old, as well. 4) I have long thought that French actress/model Eva Green (5’6″,b.1980) (Casino Royale, The Golden Compass, 300: Rise of an Empire, “Penny Dreadful”) would make a great Black Widow, but she’s a tad older than I’m looking for, now. 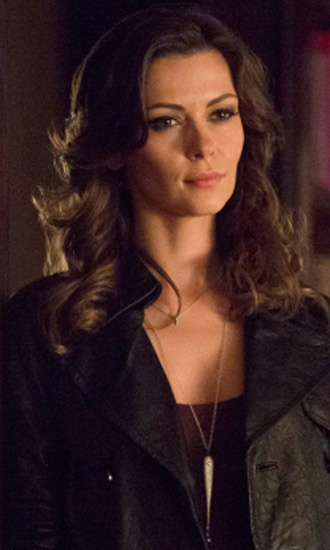 Russian-born Olga Fonda (5’6.5″,b.1982) came to my attention a couple years ago while watching the short-lived “Agent X” TV series, in which Fonda played supporting player and enemy agent ‘Olga Petrovka’. Others might recognize her from Real Steel, “The Vampire Diaries”, or appearances in “Nikita”, “Hawaii Five-0”, or “Altered Carbon”. She’s pretty, a native Russian, almost the exact height of the comic character, and has genre experience — even to playing a Russian spy. She’s also trained in martial arts (both armed and unarmed), extreme sports, and likes to do her own stunts Works for me! The only thing I’ve seen Yuliya Snigir (5’5.75″,b.1983) in is A Good Day to Die Hard (see pic), which I just re-watched a few weeks ago. 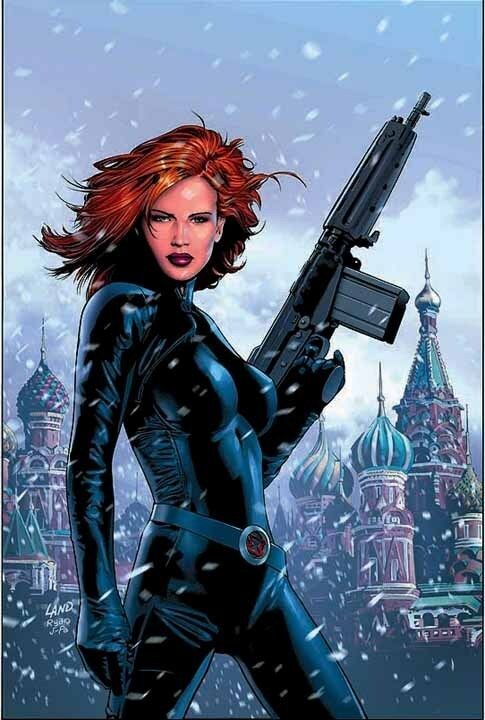 I immediately thought that this Russian beauty would be perfect to play Natasha Romanoff. She also starred in the Dark Planet movies, Delirium, and Blockbuster. As with Fonda, Snigir is very attractive, Russian-born, and has genre credits. Looks good riding a motorcycle or firing a gun, too, both of which Black Widow has an affinity for. She’d be great! Tereza Srbova (5’8″,b.1983) is a model/actress/singer from the Czech Republic, who I noticed when she guest-starred in a few episodes of “Strike Back” as ‘Major Nina Pirogova’. She has also appeared in “Eastern Promises”, Inkheart, Siren, and The Inside. I’ve only ever seen pics of her as a blonde, but that shouldn’t be a problem. She holds a masters degree and speaks four languages (none of them Russian, though) and has a bit of familiarity with guns (thanks to “Strike Back”). Another wonderful choice to play ‘Tasha! 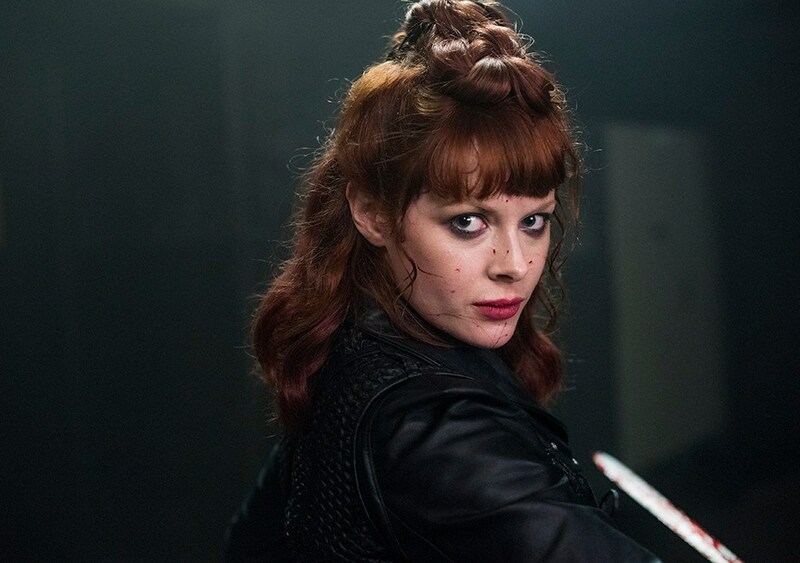 In “Into the Badlands”, British actress Emily Beecham (5’5.25″,b.1985) plays a deadly, red-headed warrior woman, who wears black and calls herself “The Widow”. Too on the nose? Sure, but she has both the looks and the skills, thanks to the martial arts training she and others go through for the show. She has appeared in “Afterlife”, 28 Weeks Later, “Merlin”, Basement, “The Fear”, “The Musketeers”. She also did a little voice work for the “Mirror’s Edge” video game. As long as she can do a decent Russian accent, she’d make a great Black Widow for the Marvel Cinematic Universe. There you have ’em. 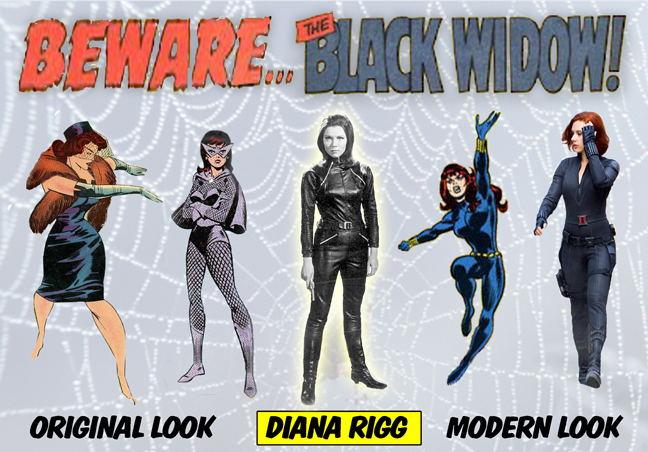 Four lovely and talented candidates to play the lethal assassin/spy/superhero, Black Widow. Choose one, if you dare…. * All ideas copyright Christopher Harris, 2013-2018.
may i also suggest annet mahendru? an afghan-born russian and indian actress who has played a kgb agent superbly on the americans? she also speaks six languages and has a brown belt in karate. Another fine choice! Good call, Loren.